Camping Expeditions in BC. 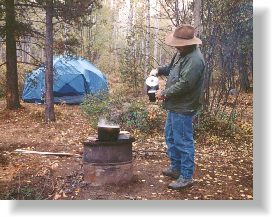 Camping Expedition Companies in British Columbia, Canada. Imagine yourself in the BC wilderness far from the worries of everyday life -- British Columbia is home to some of the worlds best camping excursions, outdoor adventures, and tours. and other areas of the province including our Provincial and National Parks. Your adventure can even take place nearby some of the provinces major centres including Vancouver, Whistler, Victoria on Vancouver Island, and the Okanagan Valley. or traveling by ATV. At night, camp out under the stars and roast marshmallows on the crackling campfire, or take an evening walk through the woods. The many BC guides available will generally provide all the specialized camping equipment necessary for you to enjoy a safe and comfortable camping experience. And with this kind of vacation youll avoid the crowds and have the opportunity to see some of BCs most spectacular scenery and wildlife  dont forget your camera! All around you is pristine British Columbia wilderness, sparkling waterways, snowcapped mountains, beautiful sunsets and no one else but you and your group around to spoil the view. A wilderness camping adventure will provide you with a way to experience the great outdoors of British Columbia in a way no other holiday can match. This is an opportunity to experience BC in a truly unique way whether hiking, canoeing, or on horseback.